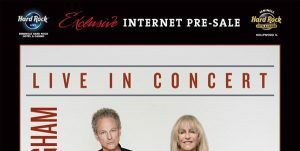 * Live In Concert- Lindsey Buckingham/Christine McVie- Internet Pre-Sale. 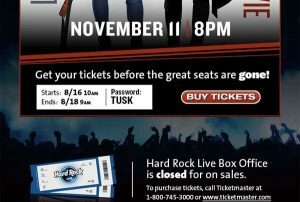 Personally, Jeff Eats thinks that all tickets for this concert should be discounted by 60%! Love the 60 percent discount line. I agree 100 percent with you.